This location offers clients with three different office types for leasing, serviced office space, coworking offices and warehouse space. Each space comes with unique features that set it apart from the competition. Easch space can be customized to fit your business needs. The flexible office space offers business with flexible terms to ensure that they can select the best option for them. Located next to Ontario International Airport. With a convenient location in the vicinity of LA-Ontario International Airport, this stylish executive suite center is easily reachable via I10, I145 and Highway 60. 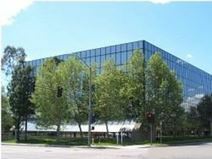 The center offers amazing views, prestigious materials, large bright offices and covered parking. The regional transport links offer a wide range of extensive and highly convenient services in operation throughout the locality, making the site easily accessible. This Centre is well located and comes with 24-hour access, mail handling facilities, high spec technology for internet and telephony The spaces are unfurnished unless requested, and the centre is close to the major freeways in the region, and is also a short drive away from the metro link. The regional transportation services available in the immediate locality are also excellent and make this center easily accessible to all. Great Specials in Ontario’s Sterling Centre complex, a 35 mile from Los Angeles and minutes’ from the 101 Fwy and other amenities. This class A building offers internet and telephony services and reservations can be by the hour/day/or weekly basis. Conference facilities for small and large groups are also provided and offer major convenience for professionals. The regional transport links are also vry good and connect the site to the wider surroundings with ease. Located in the heart of Ontario's business district, and surrounded by hotels and restaurants, this executive suite center is easily accessible from I-10 and I-15. Featuring cutting-edge communications technology, comfortable furnishings and a professional corporate atmosphere.